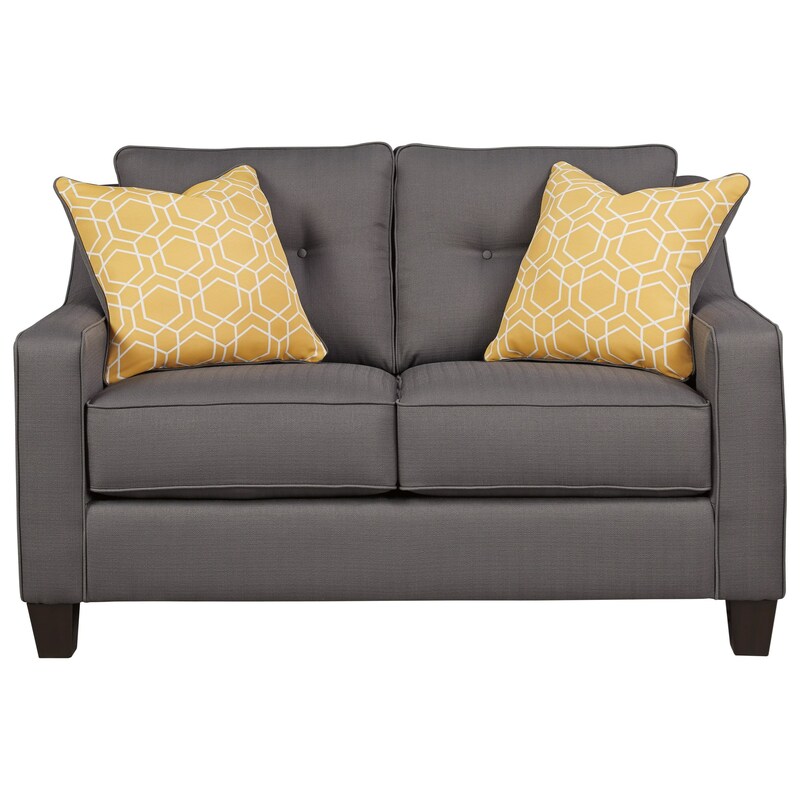 With its performance fabric, this loveseat is easy to keep looking brand new, even in a highly used spot in your home. The sophisticated contemporary design with track arms and back cushions with button-tufting offers up a stylish look. The Aldie Nuvella Contemporary Loveseat in Performance Fabric by Benchcraft at Michael's Furniture Warehouse in the San Fernando & Los Angeles area. Product availability may vary. Contact us for the most current availability on this product. The Aldie Nuvella collection is a great option if you are looking for Contemporary furniture in the San Fernando & Los Angeles area. Browse other items in the Aldie Nuvella collection from Michael's Furniture Warehouse in the San Fernando & Los Angeles area.